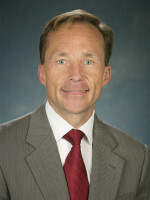 Dr. Jeff Volek is a registered dietitian and professor in the Department of Human Sciences at the Ohio State University. For the last two decades, he has performed cutting edge research elucidating how humans adapt to diets restricted in carbohydrate with a dual focus on clinical and performance applications. His work has contributed to the existing robust science of ketones and ketogenic diets, their use as a therapeutic tool to manage insulin resistance, plus their emerging potential to augment human performance and resiliency. This research indicates that that well formulated ketogenic diets result in substantial improvements in insulin resistance and the myriad of cardio-metabolic biomarkers associated with metabolic syndrome, including favorable changes in fatty acid composition and saturated fat metabolism, cholesterol and lipoprotein profiles. He has also performed seminal research on a wide range of dietary supplements (e.g., creatine, chromium, whey protein, caffeine, carnitine and HMB) that can augment performance and recovery. He has accumulated an enormous amount of laboratory and clinical data as it pertains to biomarker discovery and formulation of personalized, effective and sustainable low-carbohydrate diets. His team is currently exploring the role of nutritional ketosis induced by diet and/or supplements to: 1) reverse type-2 diabetes, 2) alter gut microbiota, 3) favorable impact tumor metabolism and health outcomes in women with advanced breast cancer, and 4) extend human physical and cognitive capabilities in elite athletes and military personnel. Dr. Volek has secured several million dollars in research funds from federal sources, industry, and foundations. He has been invited to lecture on his research over 200 times at scientific and industry conferences in a dozen countries. His scholarly work includes 300+ peer-reviewed scientific manuscripts and five books, including a New York Times Best Seller. Volek, J.S., D.J. Freidenreich, C. Saenz, L.J. Kunces, B.C. Creighton, J.M. Bartley, P.M. Davitt, C.M. Munoz, J.M. Anderson, C.M. Maresh, E.C. Lee, M.D. Schuenke, G. Aerni, W.J. Kraemer, and S.D. Phinney. Metabolic characteristics of keto-adapted ultra-endurance athletes. Metabolism. 65(3):100-110, 2016. Noakes, T., J.S. Volek, and S.D. Phinney. Low-carbohydrate diets for athletes: what evidence? British Journal of Sports Medicine. 48(14):1077-8, 2014. Ballard, K.D., E.E. Quann, B.R. Kupchak, B.M. Volk, D.M. Kawiecki, M.L. Fernandez, R.L. Seip, C.M. Maresh, W.J. Kraemer, and J.S. Volek. Dietary carbohydrate restriction improves insulin sensitivity, blood pressure, microvascular function, and cellular adhesion markers in individuals taking statins. Nutrition Research. 33(11):905-12, 2013. Kunces, L.J., L.K. Cusack, B.R. Kupchak, B.M. Volk, D.J. Freidenreich, J.C. Aristizabal, C. Saenz, R. Pei, Y. Guo, M.L. Fernandez, R.S. Bruno, C.M. Maresh, W.J. Kraemer, A. Pronczuk, K.C. Hayes, and J.S. Volek. Triglyceride recrystallized phytosterols in fat-free milk improve lipoprotein profiles more than unmodified free phytosterols in hypercholesterolemic men and women. Journal of the American College of Nutrition. 32(4):234-42, 2013. Volek, J.S., B.M. Volk, A.L. Gomez, L.J. Kunces, B.R. Kupchak, D.J. Freidenreich, J.C. Aristizabal, C. Saenz, C. Dunn-Lewis, K.D. Ballard, E.E. Quann, D.L. Kawiecki, S.D. Flanagan, B.A. Comstock, M.S. Fragala, J.E. Earp, M.L. Fernandez, R.S. Bruno, A.S. Ptolemy, M.D. Kellogg, C.M. Maresh, and W.J. Kraemer. Whey protein supplementation during resistance training augments lean body mass. Journal of the American College of Nutrition. 32:122-135, 2013. Freidenreich, D.J., J.S. Volek. Immune responses to resistance exercise. Exercise Immunology Reviews. 18:8-41, 2012. Forsythe, C.E., S.D. Phinney, R.D. Feinman, B.M. Volk, D. Freidenreich, E. Quann, K. Ballard, M.J. Puglusi, C.M. Maresh, W.J. Kraemer, D.M. Bibus, M.L. Fernandez, and J.S. Volek. Limited effect of dietary saturated fat on plasma saturated fat in the context of a low carbohydrate diet. Lipids. 45:947-62, 2010. Volek, J.S., K.D. Ballard, R. Silvestre, D.A. Judelson, E.E. Quann, C.E. Forsythe, M.L. Fernandez, and W.J. Kraemer. Effects of dietary carbohydrate restriction vs low-fat diet on flow-mediated dilation. Metabolism. 58:1769-77, 2009. Fine, E.J., W. Miao, K. Koba, J.S. Volek, and M.D. Blaufox. Chronic effects of dietary carbohydrate variation on [18F]-2-fluoro-2-deoxyglucose uptake in rodent heart. Nuclear Medicine Communications.30:675-80, 2009. Volek, J.S., S.D. Phinney, C.E. Forsythe, E.E. Quann, R.J. Wood, M.J. Puglusi, W.J. Kraemer, D.M. Bibus, M.L. Fernandez, and R.D. Feinman. Carbohydrate restriction has a more favorable impact on the metabolic syndrome than a low fat diet. Lipids. 44:297-309, 2009. Volek, J.S., M.L. Fernandez, R.D. Feinman, and S.D. Phinney. Dietary Carbohydrate restriction induces a unique metabolic state positively affecting atherogenic dyslipidemia, fatty acid partitioning, and metabolic syndrome. Progress in Lipid Research. 47(5):307-18, 2008. Jeff Volek, Stephen Phinney. The Art and Science of Low Carbohydrate Performance. Beyond Obesity, April 2012. 162 pages. Jeff Volek, Stephen Phinney. The Art and Science of Low Carbohydrate Living. Beyond Obesity, May 2011. 302 pages. Westman, E.C., S.D. Phinney, and J.S. Volek. The New Atkins for a New You. Fireside, New York, NY, March 2, 2010. Volek, J. and Campbell A. The Men's Health TNT Diet. Targeted Nutrition Tactics. Rodale Books, Rodale Books Emmaus, PA, Oct 2, 2007.